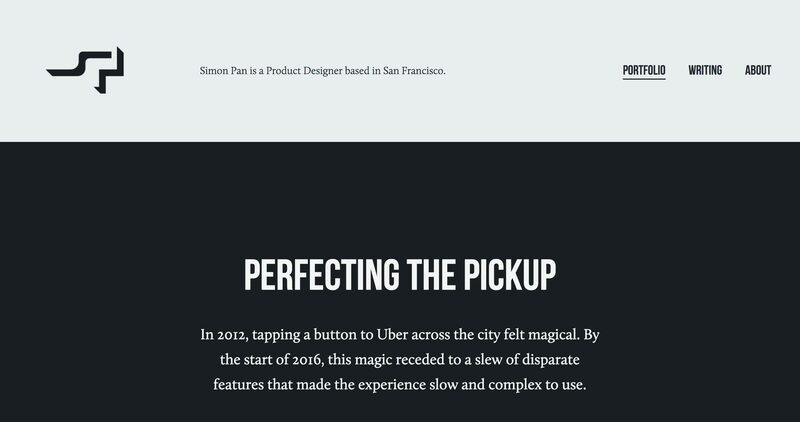 UX has always been an essential part of Uber's design practice, as you will see in this case study roundup. They've had their ups and downs, especially with the failed 2016 rebrand. Not to mention their internal struggle causing ripple effects, ultimately ending up loosing peoples trust. Frances Frei was hired to work on the internal culture and to rebuild peoples trust. The next natural step was a rebrand, with the help of Wolff Olins. It takes time to rebuild trust, and only time will tell if they've succeeded. The user experience certainly feels more complete and they've set them selves up for a bright future. 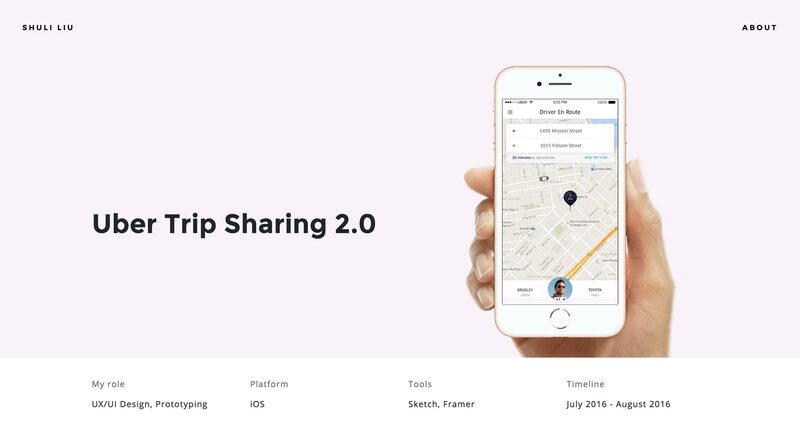 Shuli Liu goes into detail about the process of designing the sharing feature in the Uber app. Be sure to check out all of the case studies in her portfolio. Inspiring work! 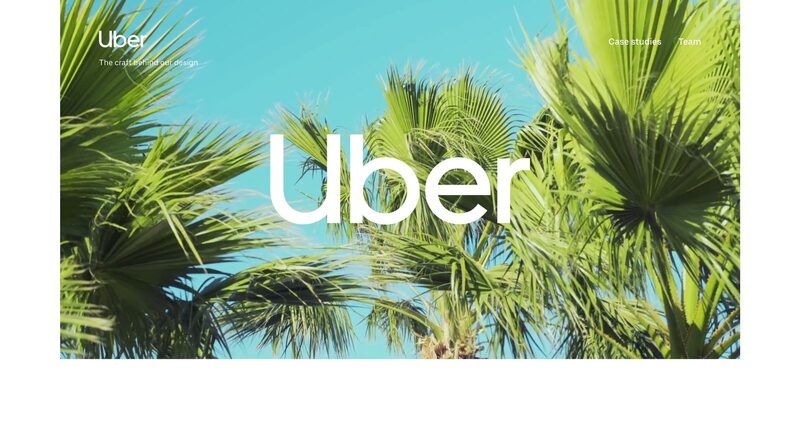 The Uber Brand Experience team presents the new rebrand in great detail. They got a few solid partners on board this time; Wolff Olins (Brand Agency) and Jeremy Mickel (Type Designer). 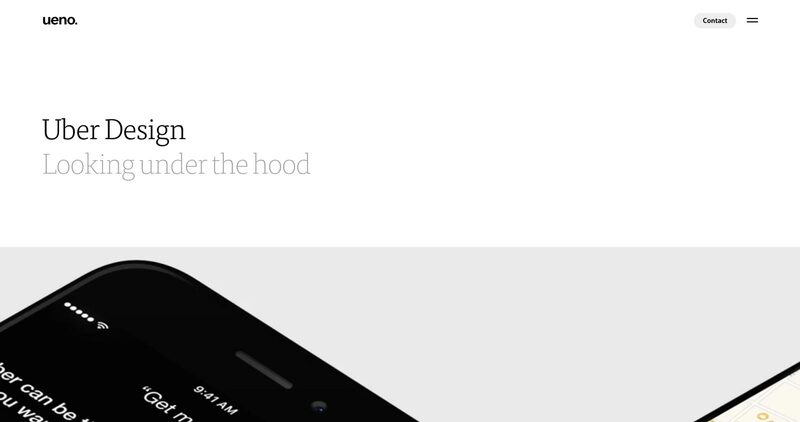 Ueno presents their process of designing uber.design. This case study is based on the old brand but has later been revamped using the new rebrand. Complex design jobs require in-depth case studies. Simon Pan is a skilled storyteller and will make you want to keep on reading. He ends everything with how his design improved a various aspect of the experience, backed up with actual data. As close to as a "fly on the wall" as you could get. Uber researchers share their process of how they collect their data so that they can make better and informed decisions. In recent years, designing for growth has turned into a new field. 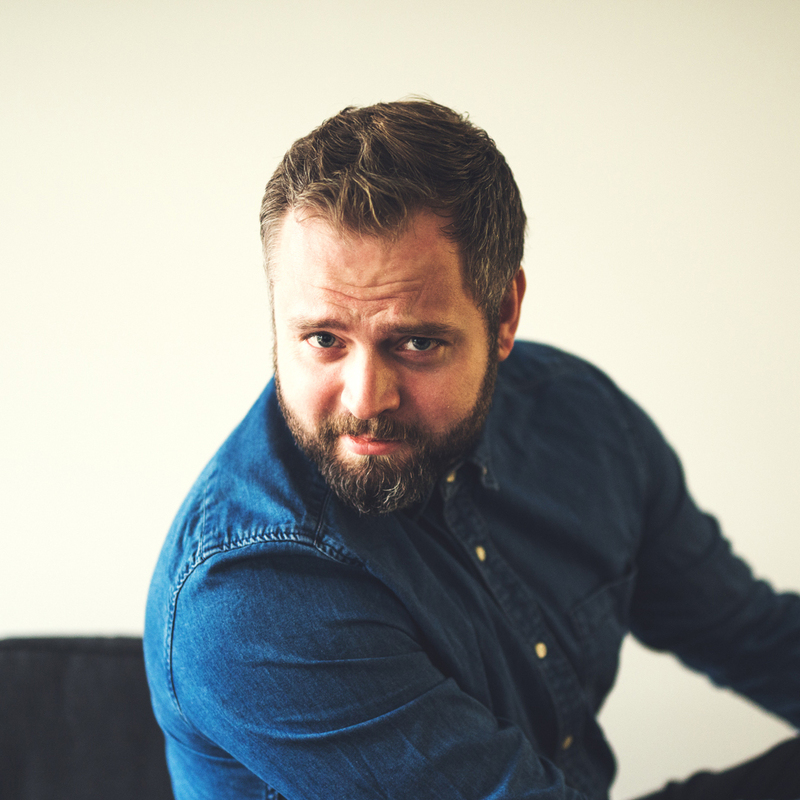 Growth designers balance both business and user experience. 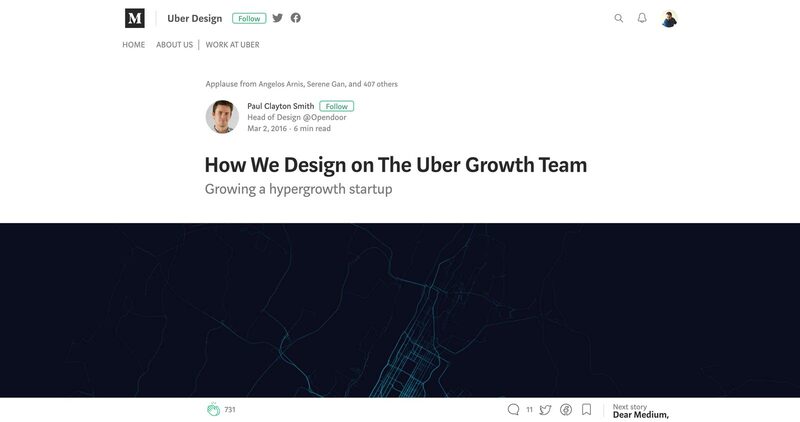 The growth team at Uber share their story starting out with just a few people to scaling up to over 300 people. 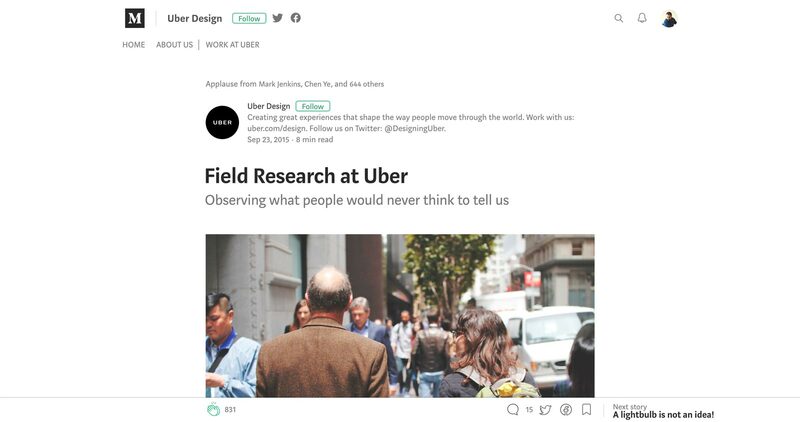 Check out the curated UX case study gallery here.